If you haven't filed a Continuous Country of Origin Labeling or COOL Affidavit with us, please print it off *here*, fill it out and either mail it to us or drop it by the office during office hours. The Springville Feeder Auction Association was organized in 1952 with the first sale being held in the fall of 1953. Since that time our reputation and the number of cattle has grown to four spring and six fall sales (see Upcoming Sales). In addition, the Indiana Beef Evaluation Program (IBEP) Bull Test Station's April and October sales are held at our facility. The October IBEP Sale is held in conjunction with our Bred Heifer Sale. The Springville Feeder Auction Association welcomes any interested buyers and/or consignors. 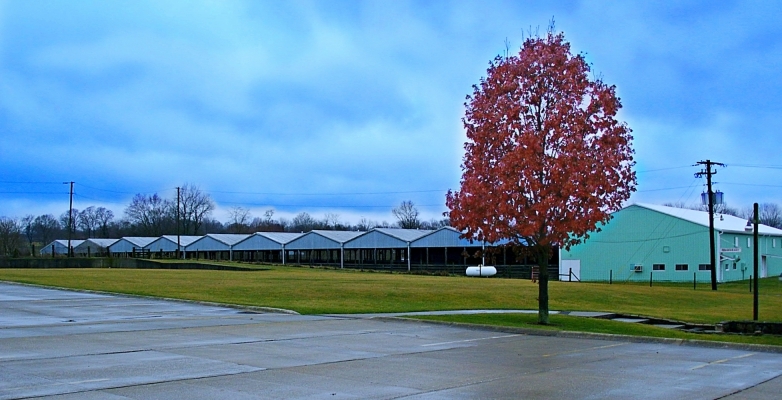 The facility is located in Springville, Indiana, which is in the south central part of Indiana, about 1 1/2 hours south of Indianapolis and 1 1/2 hours north of Louisville (see Location). Hotel accommodations are available in nearby Bedford and Bloomington. (see current consignment form for rules of consignment). Our Auctioneer is JD Faulk, with Veterinary services provided by Spring Mill Veterinary Service. If you have any questions, please call our facility at (812) 279-1282 or Dr. Jerry Rusch at 812-849-4525.